If you’re like most people who snore, you’ve probably tried plenty of snoring aids and remedies, only to find that none of them worked for you. Or maybe one or two of the remedies you tried did work. But you want a more permanent, more hassle-free solution. Have you considered having surgery to stop snoring? If so, you have plenty of options. In fact, you have more options than you probably realize. So what are those options? 8 Surgeries Used to Treat Snoring? The first thing to keep in mind is that there isn’t just one “snoring surgery.” Instead, there are many different surgical procedures used to treat snoring. Or, rather, these surgical procedures are used to treat what might be causing you to snore. And there are a lot of things that might be causing you to snore. This means a surgery that might work wonderfully for someone else might not work for you. So the first step when considering surgery for snoring is figuring out what is causing you, specifically, to snore. In general, snoring is caused by a partial obstruction of your breathing. When certain tissues block or obstruct your airway while you sleep, the flow of air through your nose or throat can cause those tissues to vibrate. This vibration is responsible for the buzzing sound associated with snoring. And the more narrow or obstructed that airway is, the louder and more disruptive your snoring will be. Most surgeries used to alleviate snoring widen the airway by removing or tightening excess soft tissue found in the throat, mouth or nose. Here is a list of some of the surgical procedures commonly used to treat snoring. 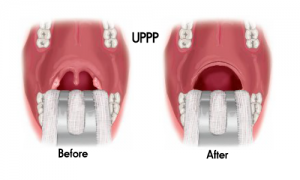 During a UPPP procedure, the patient is placed under a general anesthetic, and then excess tissue is tightened or removed from the throat. This widens the airway so that, ideally, the airway won’t be obstructed while you sleep. Also called radiofrequency tissue ablation, somnoplasty is an outpatient procedure performed under a local anesthetic. You have a hard palate and a soft palate. The hard palate is what you think of as the roof of your mouth, and it’s the part you can easily touch with your tongue. If you follow the hard palate back you’ll reach the soft palate, the softer, fleshier area at the back of your throat. If your soft palate is too relaxed and soft, it will vibrate as air passes through your airway, creating that buzzing, snoring sound. During a somnoplasty, a low-intensity radiofrequency signal is used to shrink soft palate tissue. One of the pros of somnoplasty is that it’s much less painful than other surgeries used to curb snoring. Tiny implants are inserted into the soft palate to reduce vibrations. During a pillar procedure, braided strands of polyester filament are injected into the soft palate. These palatal implants cause the soft palate to stiffen, so it won’t vibrate (or won’t vibrate as much) as air passes through your airway. Some surgeries for snoring involve removing specific soft tissue to reduce vibration and make the air passage less narrow. 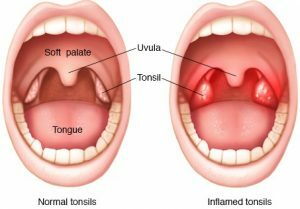 For example, if the tonsils or adenoids are enlarged and blocking your airway while you sleep, you could have a tonsillectomy to remove your tonsils, or an adenoidectomy to remove the adenoids. A more drastic option might be to remove the uvula. The uvula is the triangular shaped flap of tissue that dangles at the back of the throat. If this flap of tissue is blocking your airway, it could be responsible for your snoring. During a uvulectomy, the uvula, or perhaps just part of it, is removed. 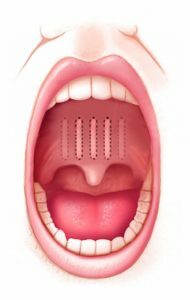 Many consider removing the uvula to be a drastic course of action, largely because no-one’s exactly sure what the uvula does, and what the affects of losing it might be. This form of laser surgery is another outpatient procedure. During a LAUPPP, a laser beam is used to remove the uvula. The soft palate is also shortened. The result is an enlarged airway and reduced vibration. One of the downsides of choosing LAUPPP is that more than one treatment might be needed to get the desired results. During this procedure, an electrode is inserted into the soft palate, and an energy burst is applied to the tissue. The electrical current stiffens and shrinks both the soft palate and the uvula, making them less likely to vibrate. It can take a month or more to completely heal from a radiofrequency palatoplasty. And some common side effects include sore throat and swelling. If you have a deviated septum, the wall that separates your nostrils has become misaligned somehow. This misalignment can obstruct the flow of air through your nose, and cause you to snore. A nasal septoplasty is used to straighten and repair a deviated septum, opening the airway and making it easier to breathe. During the surgery, the bone and tissues that separate the two nasal passages are straightened so the septum is in its proper position. Sometimes, part of the septum is also removed during the surgery. A nasal polypectomy is a procedure used to remove nasal polyps. Nasal polyps are round, soft tissues that can block the airflow through your nasal passages. The good news is that nasal polyps aren’t harmful or dangerous. They are noncancerous, and don’t cause pain. However, nasal polyps can block the flow of air through your nose, which can cause or contribute to snoring. One of the downsides of this surgery is that any positive effects might be temporary. Removing nasal polyps can definitely alleviate snoring. But there’s no guarantee you won’t have more nasal polyps somewhere down the line… and end up right back where you were before the nasal polypectomy. Having surgery to alleviate snoring can have many benefits. If the surgery is successful, you’ll be able to enjoy many nights of peaceful, uninterrupted sleep. Since you won’t be so sleep deprived, you’ll have more energy during the day. Your overall health will improve. And your relationship just might improve too. However, having surgery for snoring does have its potential downsides. Surgery of any kind can be expensive. And getting surgery to stop snoring might not be covered by your insurance. This means you might have to pay for the surgery out of your own pocket. 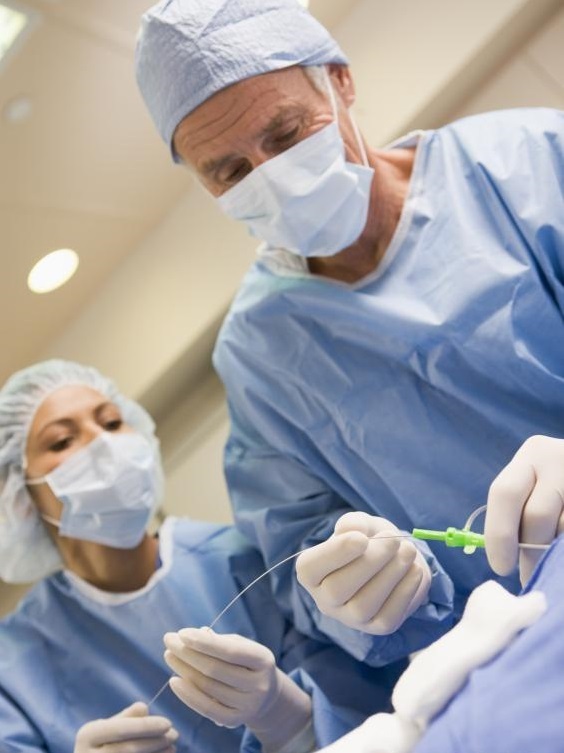 With any surgery you risk complications, like infection, or other unpleasant side effects. Most surgeries involve pain of some kind. It’s unavoidable. It can be weeks, or even months, before you are truly healed and pain-free after surgery. And, if there are unforeseen complications, that could make your recovery time even longer. The biggest downside of getting surgery to alleviate snoring is that it might not work. For the most part, these surgeries won’t eliminate snoring completely. Often, the best you can hope for is that a surgery will make your snoring less frequent and severe. But even that’s not guaranteed. This is largely why having surgery to treat snoring is considered a last resort, something only done when nothing else works or the patient’s health is at risk. So, if you’re considering getting surgery for snoring, ask if you’re willing to go through the pain, expense and possible side effects for a procedure that might not work, or might not work as much as you want it to. If your snoring is extremely severe, and no other remedy has worked for you, you might decide the risks are worth it. Before considering surgery for your snoring, most doctors recommend trying as many other snoring remedies as possible. Most snoring remedies cost a fraction of what it might cost to have surgery. And snoring aids don’t pose the same risks surgical procedures can. Here are some of the more popular snoring remedies. Mandibular Advancement Devices (also known as MAD mouthpieces) are designed to move the jaw and tongue forward so there’s less tissue to obstruct the airway. The airway at the back of the throat is also opened up. One popular MAD mouthpiece is the Vital Sleep mouthpiece. Not only does this mouthpiece adjust your jaw and tongue to an optimal position to prevent snoring, it’s also mold-able, so it can be adjusted to comfortably fit any user. While sleeping on your side can help prevent snoring, you might prefer sleeping on your back. And a snoring pillow helps you do just that. Made of memory foam, a snoring pillow comfortably supports your neck, holding it in a position that reduces constriction and keeps your airway open. 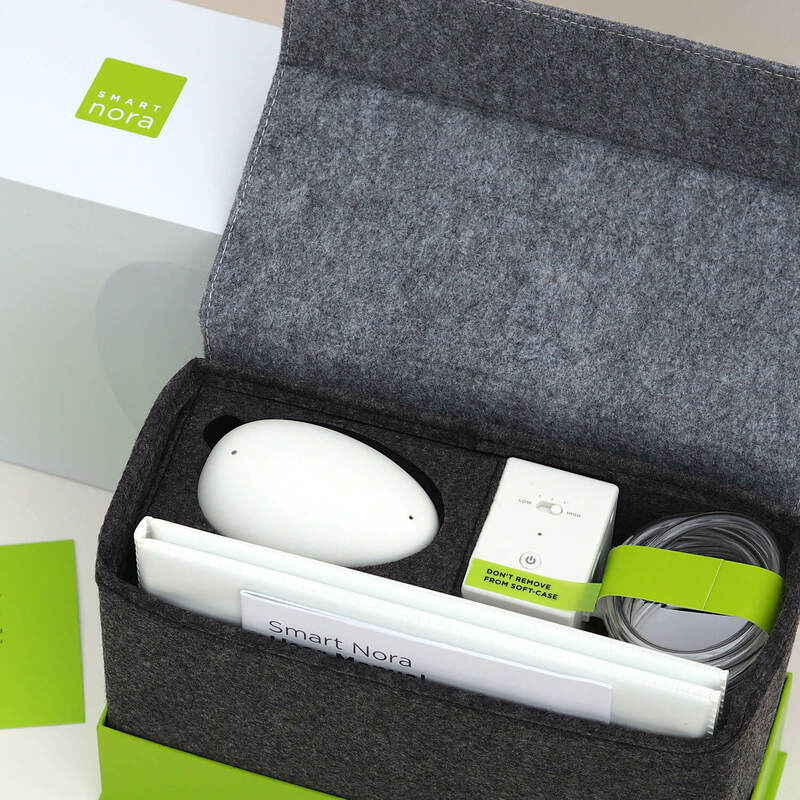 We recommend the Smart Nora anti-snoring smart pillow. Yes, there are exercises that can help you solve your snoring problem. Studies have shown that some of the exercises singers use to strengthen and improve their voices can also alleviate snoring. The Stop Snoring Exercise Program is based on the exercises used by classical singers. These exercises can help to strengthen the tongue and jaw, make the soft palate more firm, and make the airway at the back of the throat more open. All of which can alleviate snoring. Deciding to have surgery to stop snoring is a serious step. A step you’re probably considering because you’re at the end of your rope. And learning about all of the surgical options you have can make your head spin. But now that you know more about the surgical procedures used to alleviate snoring, you can make an informed decision about whether or not surgery is right for you. I snore with my mouth closed. And I wake up with a headache every morning. I also have sleep apnea. I took a sleep study and found this all out. My husband doesn’t want me to get a CPAP because he says they are louder than my snoring. So surgery I think is my best option. I have tried all the over the counter remidies and nothing seems to work. I had a PPP 20 years ago. It was very painful for a couple of weeks, but it saved my marriage! Tired all the time even after ten hours of sleep, and have had a terrible time keeping a relationship with a woman . Two wives did nothing but complain plus lady friends . I don’t want or feel that a relationship should be based on sleeping in separated bedrooms.